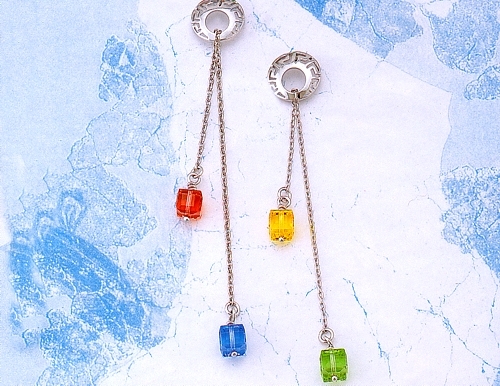 Colourful cube mineral stones adorn these earrings, an exact reproduction of an ancient earring pair found in the Akrotiri excavation on the island of Santorini. The earrings come with a written authenticity guarantee in a beautiful jewelry gift box. .